The Precision line of covers and accents showcases modern and muscular designs that deliver a truly defined appearance to emulate internal movements of the engine and transmission. The resulting look produces a seamless integration with every factory component, whether used individually or as a complete set. The collection includes groupings of unique covers and accents that bring the same powerful appearance to often-overlooked areas of the engine block. Focus areas include the cylinder base, inner primary, tappet block, transmission and starter, as well as the voltage regulator, coolant pump for liquid-cooled models, and oil cooler, among others. 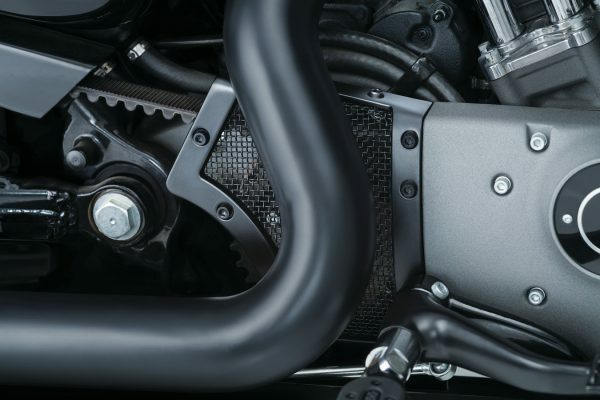 Previous iterations of Kuryakyn engine covers have incorporated the use of VHB adhesive for installation. Everything in the Precision line is bolt on, creating a more uniform aesthetic with the motor while also reducing the hassle of removing and re-installing parts for service maintenance. The Precision collection is now available through Kuryakyn and its worldwide dealer and distributor network. The majority of components are currently offered in premium chrome finish, with a handful of select pieces also available in black. Gloss black versions of the entire collection are in development and will be available in late summer 2017. More info here. Kuryakyn dealers armed with the new Sprint Signature Series by John Shope are battling it out to see who can build the “baddest” Indian Scout. Five dealerships were enlisted to showcase their creativity in a friendly war of the wrenches, demonstrating the versatility of the Sprint Signature Series and its ability to transform Scout and Scout Sixty platforms. Sprint Signature Series Build Battle contestants are only limited by their own imagination. There are no rules regarding theme, total cost or design style. The lone requirement is that each build entry must utilize the entire Kuryakyn Sprint Signature Series by John Shope, including the Sprint Front Fender, Café Fairing, Chin Spoiler and various Sprint frame/body accents. Each participating dealer was also supplied with Crusher® Maverick Slip-Ons for use on their build. Online public voting open now and running through Friday, February 10 will decide the winning Scout. The winning dealership will be announced on Tuesday, February 14. Fans can vote for their favorite build and learn more about the inspiration behind each design at www.kuryakyn.com/sprint-battle. For 2017, Wisconsin-based Kuryakyn is leading the charge is the debut of Kuryakyn’s most comprehensive product line to-date, the all-new “Mesh” collection. 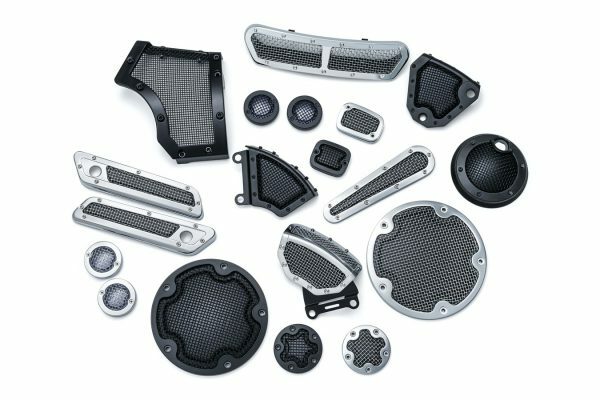 The Mesh collection is loaded with over 50 direct-replacement components for all Harley-Davidson models. Most parts utilize a three-piece design integrating chrome or satin black aluminum outer frames with a satin black aluminum baseplate that’s exposed through satin black or chrome stainless steel mesh panels. The construction method and resulting look is unlike anything available, and unlike anything Kuryakyn has ever developed. Visible socket-head cap screws add a rugged, mechanical appearance and securely fasten the components in place. The multi-piece designs easily disassemble for unlimited custom finish options by end users, as the baseplates, stainless steel mesh panels and frames can be all be painted or coated to match any color theme. Included in the collection are bolt-on derby, timing and master cylinder covers for XL, Twin Cam and Milwaukee-Eight platforms, as well as caliper covers for FX and FL models. Mesh dash inserts, fuel doors, saddlebag hinge covers and fairing vent accents are a handful of highlighted offerings for bagger models. Multi-fit components include Mesh gas caps and L.E.D. fuel and battery voltage gauges available for tanks equipped with screw-in caps and/or illuminated fuel gauges. 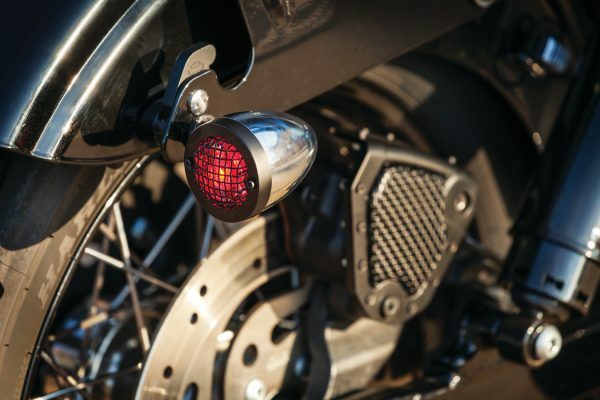 Rounding out the multi-fit accessories are replacement bezels for bullet and flat-style turn signals. 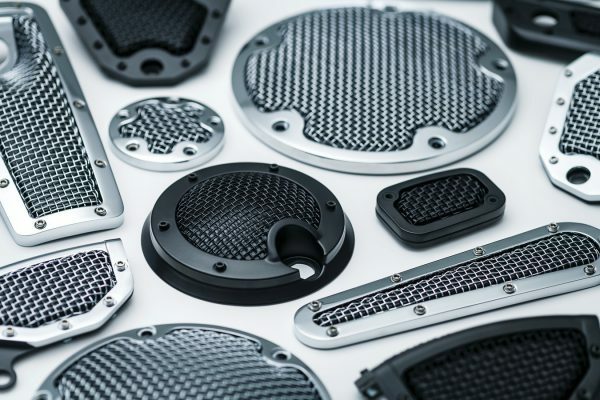 The Mesh collection has plenty to offer whether creating a full custom theme or complementing other aftermarket accessories. For more information and to view the entire line, visit www.kuryakyn.com/mesh. Küryakyn offers the industry’s first and only available saddlebag extensions with integrated L.E.D. functionality for Victory models. Küryakyn’s L.E.D. Saddlebag Extensions provide a clean and affordable stretched saddlebag appearance with the benefit of additional full-time L.E.D. running lights. The red lenses with high-output L.E.D.’s provide greater rider visibility and are styled to match the factory rear lighting found on Victory baggers. 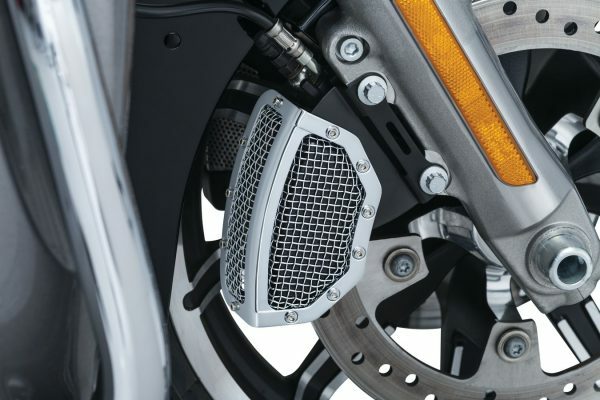 The housings feature a wraparound design that offers a sleek custom appearance to complement OEM trim while maintaining ample ground and muffler clearance. Installation requires no drilling and features hassle-free plug-and-play wiring. Available in chrome or gloss black finishes, Küryakyn L.E.D. Saddlebag Extensions fit ’10-’16 Cross Country, Cross Country Tour and Magnum models, ’10-’14 Cross Roads models with hard saddlebags, and ’12-’13 Hard Ball models. The all-new Toe Rest Cruise Pegs (P/N 7615) from Küryakyn offer a comfortable alternate foot position without the added bulk of traditional highway pegs. The two-piece design fastens around 1-1/4” engine guards and can be easily adjusted to dial in perfect positioning without removal. 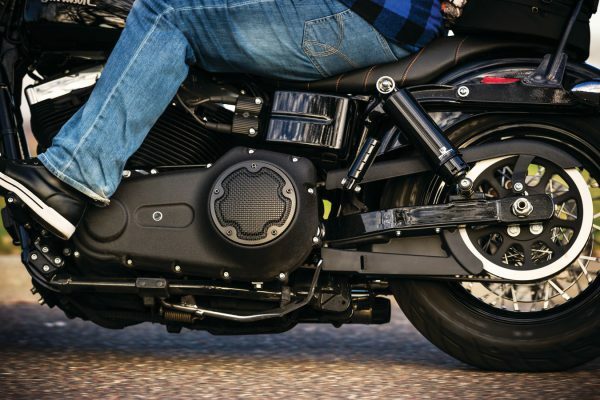 Toe Rest Cruise Pegs allow riders to place the balls of their feet in a natural position resting securely against the engine guard with heels planted on the floorboards. A premium rubber compound provides a no-slip surface for added traction while also dampening vibration for the rider. The minimalist design maintains a clean profile while mounting inconspicuously to stock 1- 1/4” round engine guards on Indian Chief, Chieftain and Roadmaster models, as well as Victory Cross Country, Cross Roads and Magnum models (not recommended for Cross Country Tour or models with Victory Hard Lowers). Küryakyn Toe Rest Cruise Pegs also mount universally to any 1-1/4” engine guards where the operator’s toes can reach the engine guard with heels still resting on the floorboards. Enhance style, maintain rearview vision and keep a low-profile custom appearance with the all-new Teardrop Mirrors from Küryakyn. Made from quality die- cast aluminum, Küryakyn Teardrop Mirrors preserve a sleek, custom appearance while retaining rearview visibility with convex glass heads that measure 5” wide x 2” tall. The contoured stems share similar styling with the mirror heads and position the pivot-ball joint approximately 5” out and 3” above the mounting location. Riders can dial in their preferred mirror head placement with the smooth pivot ball mechanism that provides easy adjustability and secure positioning. Available in smooth chrome or satin black finishes, Küryakyn Teardrop Mirrors are a direct replacement for Harley-Davidson applications, with model-specific adapters (sold separately) available for Indian, Victory, and select metric cruisers.